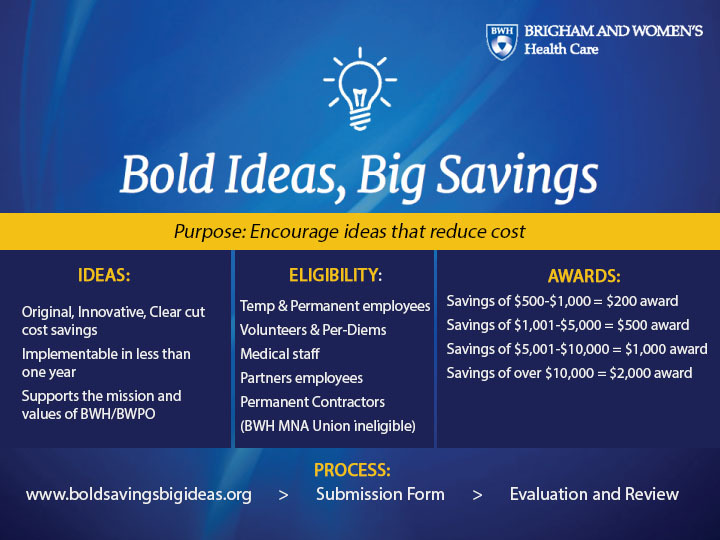 The first winners of the Bold Ideas program are the six members of the hospital’s audio-visual team. Peter Linck, who manages the team, said he noticed something while his crew was setting up sound systems and webcasts for events: The hospital was paying outside contractors as much as $288 per hour to move furniture. He suggested his team could do the same work for much cheaper, and sometimes earn overtime pay in the process. The men got trained in how to lift and shlep without breaking their backs. Since September, they have been moving furniture a few times a week, saving the hospital an estimated $10,000. In reward for their budget-cutting proposal, they will share a $2,000 check. On a recent weekday, the team, dressed in button-down shirts and ties, hauled hospital furniture back into place after a flu clinic. Read more of the article.